Click on the one in the side bar to vote! 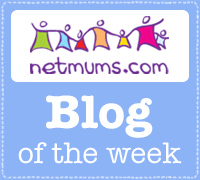 I have been nominated, nay shortlisted, for a Brilliance in Bogging Award by the runners and riders at Britian's biggest Parent Blogging Network, the lovely BritMums. I say 'I,' but, in reality, I mean 'We,' because it is in the category for 'Change.' No doubt 'we' have risen to this level of superstardom (Ha ha!) due to those wonderful fellow bloggers who contributed their fascinating stories of being single parents and the impact which all of our posts have managed to attain. Indeed, they have certainly contributed to a 'Change' in all of our perceptions about who single mums (as well as dads) are. Netmums were so inspired by these Single Mums' Stories - how they demonstrated perfectly that all is not as is portrayed by the media - that they ran an entire week called 'Busting the Myths' about us. Who knew that a mere 2% of single mums are teenagers? Even we didn't! That over 50% single parents have been married and / or are working, certainly never expected to end up lone parenting and baulk at the term 'broken home.' Most do everything in their power to 'mend' what they can. We learned that parental conflict has a more negative effect on children than parental separation and that only 2/5 of us receive maintenance for our children from our exes. I receive £6 ish per fortnight within that 2/5, yet I managed to write one of my all time favourite posts about how he pays in a myriad of other ways with the pleasures that will pass him by. 'My Ladies,' as I call them, epitomise courage and optimism. Each is an inspiration. That's why they deserve an Award! All their Stories are HERE. You will find big name bloggers sharing their secrets and tips: Mammasaurus, Rosie Scribble, In a Bundance Ellen, HerMelness, Confessions of a Single Mum Kairen, Sarah (St. Bloggie de Riviere) Hague and Katy (All Sweetness and Life) Horwood, plus an anonymous friend of mine gives her truly moving account of losing her husband to illness and how she has found love again. Thank you to all of you who got us in to the top 20. Voting closes 30th April when eight finalists for each category will be chosen by a panel of judges. We are in esteemed company and feel honoured to be among it. Yay yay yay! What an inspiring lovely lady you are! Well done! 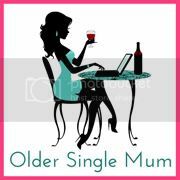 You did a great job bringing single mums to the fore. Thank you Sarah. Very kind. Am so glad you helped kick it off! Congratulations OSM! I really enjoyed reading the single mum stories and it's awesome that you brought to light that so many accepted views about single mums are total crap! Well done! Almost Bedtime - Thank you very much! Had help from @violet Posy. Can't take any credit for the makeover either! Thank you for your kind words - gave me a lump in my throat. x.